Welcome back, My Little Pretties! Bella Emy is here to answer our questions. 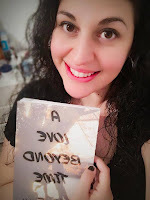 Her book, A Love Beyond Time, released Today! I will not keep you long, because you should all go buy her book! It promises to be nothing short of #Amazing!! Too many to name! I love 90s music! If only one of your books could be turned into a movie, which one would you choose and why? Only one? Coffee… or chocolate… or pizza! God, don’t think I could go on without writing! I would definitely go with always speak and write what’s on my mind. I just recently finished the first draft of a short story that will be in a fall romance anthology I am putting together. 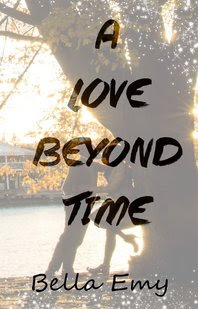 A Love Beyond Time is set to release 5/26/17! Could you love someone after learning the truth of his or her family’s past?Could you forgive someone after they’ve done the impossible? Emily Jones has the perfect life. She's married to a handsome man, has a career she loves, and amazing friends all around. 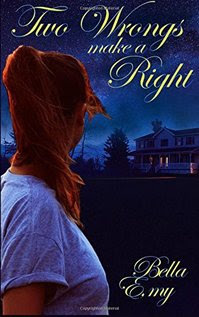 She’s carefree and happy with the way everything has fallen into place for her–till one day it all comes crashing down on her.Her husband, Bruce, demands a divorce and she is left utterly brokenhearted. 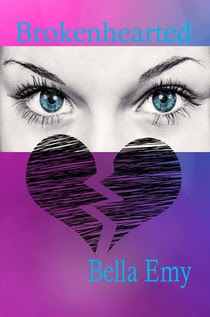 She’s completely devastated and fears she cannot go on.Then one day, a handsome stranger walks into her life–a stranger whom actually is more familiar to Emily than she realizes.Will she be able to let go of Bruce and start anew?Or will her broken heart hold her back from loving again?Sometimes your first love isn’t your one true love…Sometimes you have to overcome what’s holding you back in order to move forward…Sometimes, you have to let go in order to mend a broken heart. Alexia is very upset that her family has decided to move right in the middle of her high school experience. She will be starting her junior year in a town where she doesn't know anyone. She misses her friends & just wishes she could be back home. Alexia soon comes to love her new home & new friends & can't imagine going back to her old life. 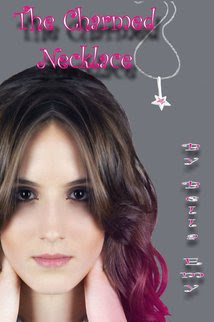 Things start going completely her way once she comes in contact with a mysterious necklace. Soon she must find a way to save herself as well as her friend. with the Amazing Bella Emy.